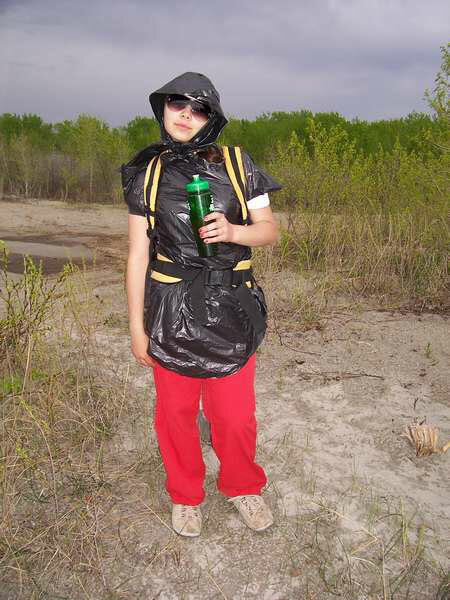 This year, I coordinated an area urban trail hike to celebrate the 10th Anniversary of JOTT. Our hike used parts of the Welland Canals Parkway Trail and the Niagara, St. Catharines, & Toronto Railway Trail (NS&T) to form three loop trails of different lengths. A 4 km, 6 km, and 8 km route, that were all relatively flat, with paved, gravel and grass sections, and allowed all age groups to participate with ease. We solicited sponsors, so that we would only have to charge $2 for the official JOTT crest, but get so much more. All participants received an event t-shirt, trail guide, and a BBQ lunch at the end of the hike thanks to many businesses and individuals in our community who were willing to help us celebrate “One World, One Promise” in 2007. The 12-page trail guide provided not only a map of the routes, but interesting current and historical information about the Welland Canal and the old railway line. Our event saw over 125 participants enjoy a day hiking with other Scouting members around the world. Thanks to everyone who came out and hiked with us! 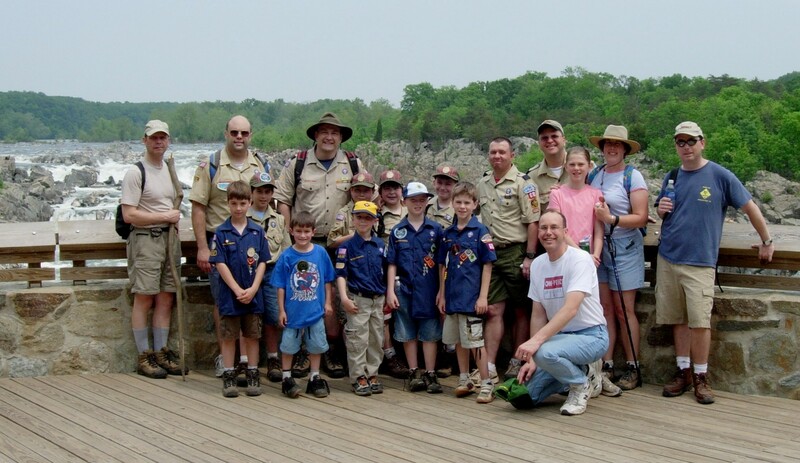 Cub Scout Pack 685 participated in their first JOTT on May 12, 2007. We conducted our event at Great Falls Park. We began with a Leave No Trace presentation and activities led by a representative from Recreational Equipment Inc. (REI). We then conducted a service project for the National Park Service. We helped to block off “social trails” which had appeared along the main River Trail. After our service project we hit the trail and hiked about five miles up and back ending at the falls overlook. We ended the day with a hot dog lunch. What a great day to be on the trail and celebrate the world brotherhood of Scouting. Nine members of the Zion 8th Yorkton Scout Troop and Venturer Company teamed up for the days event. Starting at the Scout camp located on the shore of Good Spirit Lake, the plan was to circumnavigate the lake and return back to our starting location later in the evening. The distance was estimated at 40 km and the group had previously done several hikes of half the distance during the prior weekends. We departed camp a little after 6 AM and the weather was sunny but cool for this spring day but within a kilometre of starting we had already met our first obstacle, which proceeded to become a 14 km trek through a swamp. We tried to avoid becoming wet, but living the scouting motto we all came prepared and put on the old shoes ready to get muddy. This was the slowest portion of the hike, but we managed to see moose, geese, ducks, snakes, and other animals wondering why we were here. Emerging from the swamp the next 14 km stretch was on hard gravel roads. Happy to be out of the swamp we could change footwear, but already our legs and knees had taken a terrible burden and our pace was slowing. Several stops during this portion of the hike for replenishing our water, eating, and just resting kept using our available daylight. Twelve hours had past walking the gravel roads and walking into a strong wind the whole time, but we had finally arrived at stage three. Planned hopes of being completed the whole hike by now were lost, and the rain was now here, with only a couple hours of daylight remaining. For the final 14 km we had to climb and descend along the south shore of Good Spirit Lake on sand dunes. The days adventure was starting to show, and for the previous two portions of the hike we had all stayed closely together as a group, but this last section separated the members over an hour with those arriving first at our next selected rest point. Only 4 km was remaining to make it back to our start, but only a couple could continue, leg cramps, blisters, sore knees, everyone was feeling the strain. Sitting in the wet, being cold and in the dark a change in plan was now required to get everyone back safely. Two were sent on ahead to find help. A knock on a cabin door and an old retired Scouter with a truck was asked for assistance. No one that day on the hike complained on be loaded onto the back of the truck for a short ride back to camp. 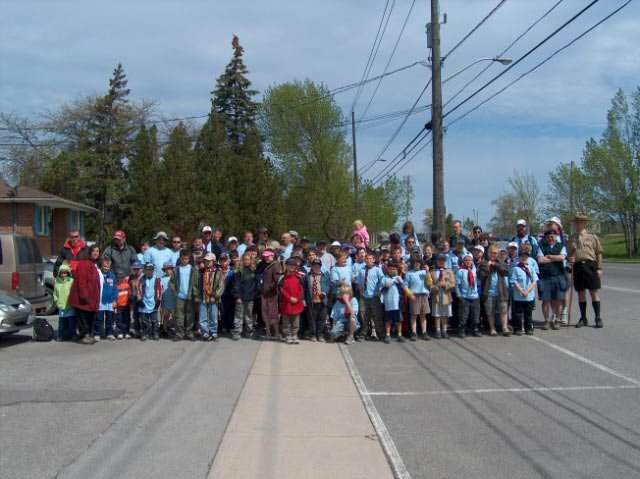 Already plans for next year’s JOTT hike are in the works, and the youth all want to bring more Scouts and Venturers to hike just the 14 km swamp portion. This was the most fun, the most challenging and something to be done with friends who will understand what you have accomplished when you are done sitting around the campfire.